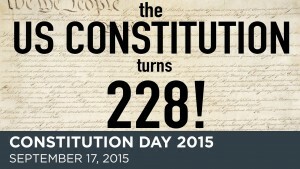 This past week was Constitution Week, and justifiably so. For if ever there was a time in our nation’s history when we needed to be constitutionally literate, it is now. The spirit of apathy, and ignorance of our founding documents including the Constitution, plagues too many of our fellow citizens. But it is a rectifiable malady. By joint Congressional Resolution, and the signature of then President Dwight D. Eisenhower, September 17th was declared Citizenship Day, and September 17-23 of each year would be designated Constitution Week. That was reaffirmed in 2002 by then President George W. Bush. 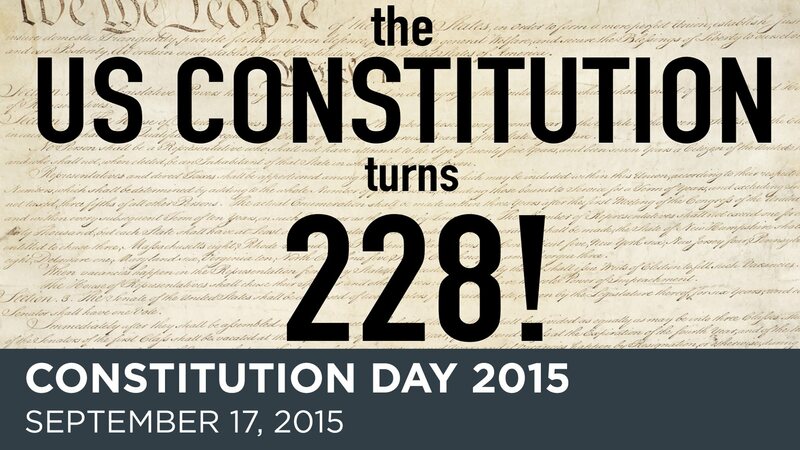 September 17, 1787 marks the historic signing of the Constitution for the United States of America. Over the course of the past few years, the abuses of Constitutional power have increased exponentially. There has never been a time in our history when remedial education of citizenship and the Constitution have been more requisite. 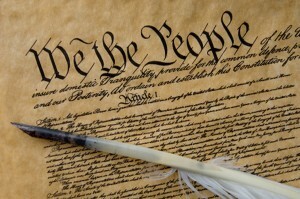 That is the objective of Constitution week, to 1) emphasize our responsibility of protecting and defending the Constitution to preserve it, and our freedoms, for posterity; 2) to understand the unique and binding nature of the Constitution in our heritage as Americans; and 3) to study and more fully comprehend the historical events surrounding the founding of our country. As a word of warning, Jefferson said, “I think our governments will remain virtuous for many centuries, as long as they are agricultural. When they get piled upon one another in large cities, as in Europe, they will become as corrupt as in Europe.” Our government has reached that point much sooner than Jefferson envisioned. 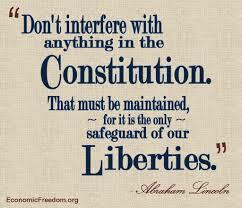 Abraham Lincoln said, “Don’t interfere with anything in the Constitution. That must be maintained, for it is the only safeguard of our liberties.” As soon as some of the rights or government limitations advanced by the Constitution are questioned, all of them are subjected to similar scrutiny and selective application, eventually. Each right curtailed or impinged upon, opens the door for similar abuses of any and all of the others enumerated in the Bill of Rights, comprising the first ten Amendments to the Constitution. Albert Einstein, an immigrant to America, recognized the need for all citizens to be informed, educated, and resolute in preserving our rights, which include limitation of the powers of the state. Said he, “The strength of the Constitution lies entirely in the determination of each citizen to defend it. Only if every single citizen feels duty bound to do his share in this defense are the constitutional rights secure.” With so many of our fellow citizens more concerned about getting their share of government largesse at the expense of their taxpaying neighbors, the determination to defend and support the Constitution and our liberties is commensurately diminished. It’s difficult for us as a citizenry, to stand collectively and individually against those who seek to subvert our liberties if we suffer from abject ignorance of what those rights are, and what our government was constructed to do, and not to do. 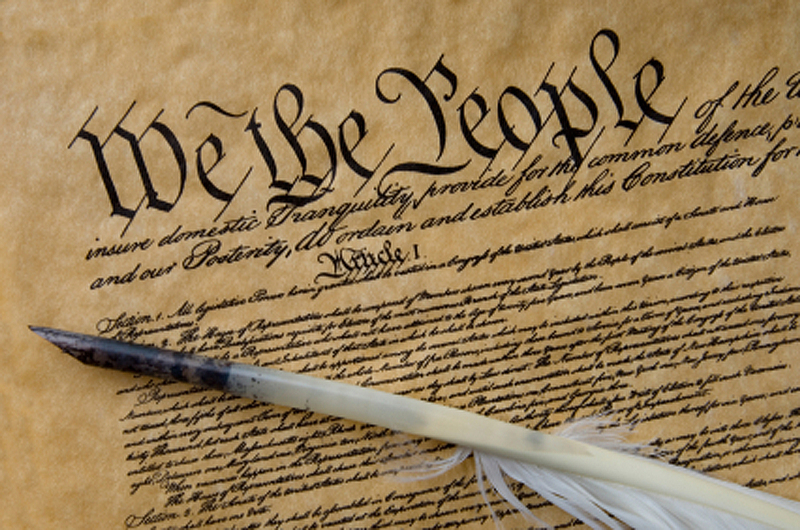 It is readily apparent from blogs and social media that great numbers of our fellow citizens suffer from acute ignorance of our founding documents, as they opine based on assumptions rather than what the Constitution authorizes or allows. Hence, the primary objective of Citizenship Day and Constitution Week is to increase our understanding and knowledge of our founding documents and the rights and privileges assured thereby. Ignorance, apathy, and selfishness are pitiful excuses for citizens in a constitutional republic that was founded upon principles of individual liberty and limited governmental power! 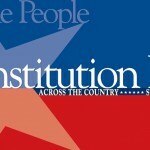 Regardless of the dearth of public observances or opportunities for constitutional edification this past week, it’s incumbent upon each of us as citizens to avail ourselves the opportunity to become more informed, more educated, and more proactive citizens by reading our Constitution and studying the history surrounding its ratification. I’m convinced most of those who are critical of our Constitution will be amazed at what is in it, but perhaps even more, what is not. 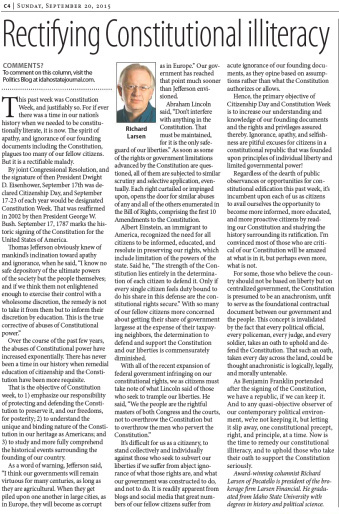 For some, those who believe the country should not be based on liberty but on centralized government, the Constitution is presumed to be an anachronism, unfit to serve as the foundational contractual document between our government and the people. This concept is invalidated by the fact that every political official, every policeman, every judge, and every soldier, takes an oath to uphold and defend the Constitution. That such an oath, taken every day across the land, could be thought anachronistic is logically, legally, and morally untenable. As Benjamin Franklin portended after the signing of the Constitution, we have a republic, if we can keep it. And to any quasi-objective observer of our contemporary political environment, we’re not keeping it, but letting it slip away, one constitutional precept, right, and principle, at a time. Now is the time to remedy our constitutional illiteracy, and to uphold those who take their oath to support the Constitution seriously.